On this day in 1920 the 19th Amendment to the United States Constitution was ratified. 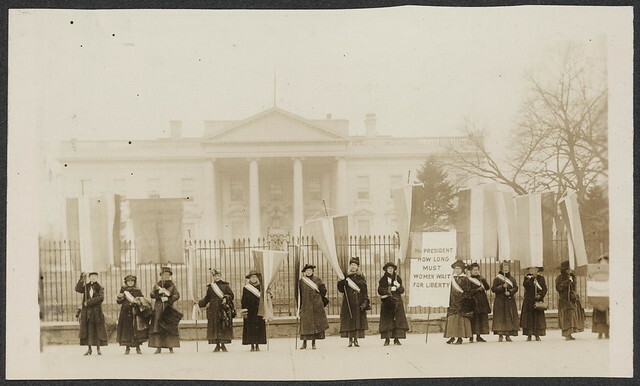 Summary: Photograph of fourteen suffragists in overcoats on picket line, holding suffrage banners in front of the White House. One banner reads: “Mr. President How Long Must Women Wait For Liberty”. White House visible in background.